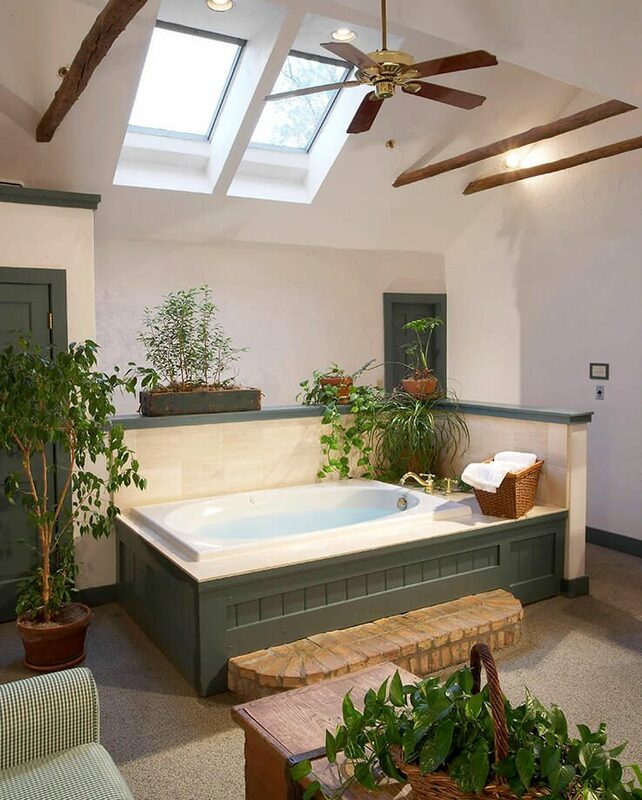 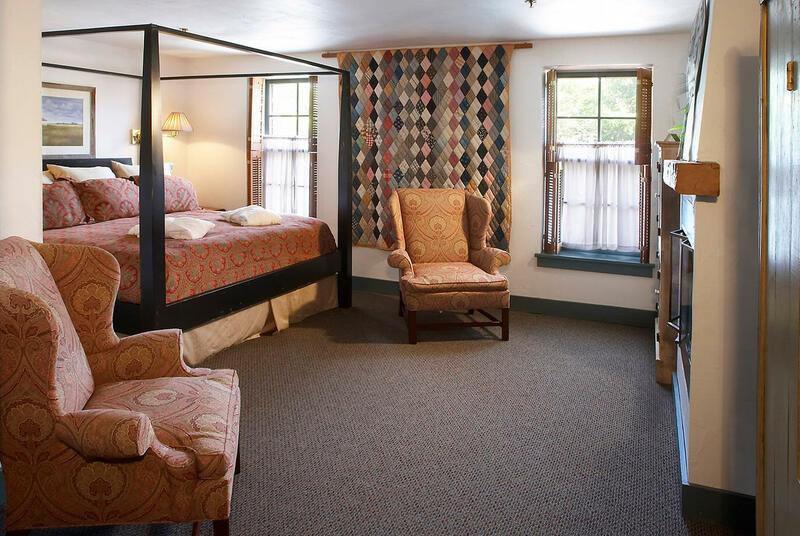 The Mary A. Gannon is a lofted, two-story room in Cedarburg’s historic district, setting the stage for one of the most romantic weekend getaways Wisconsin has to offer. 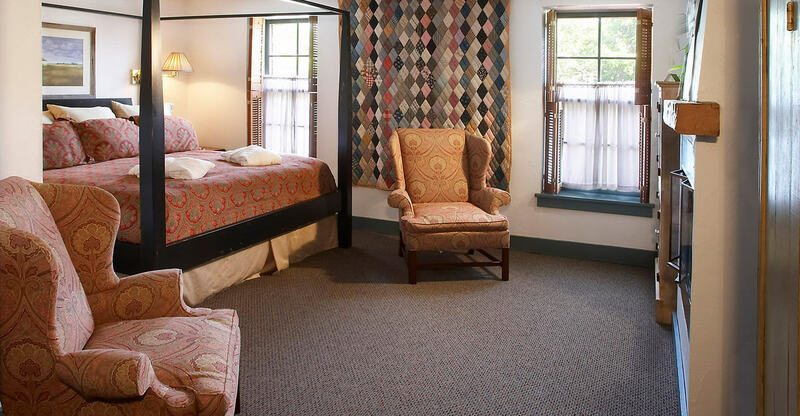 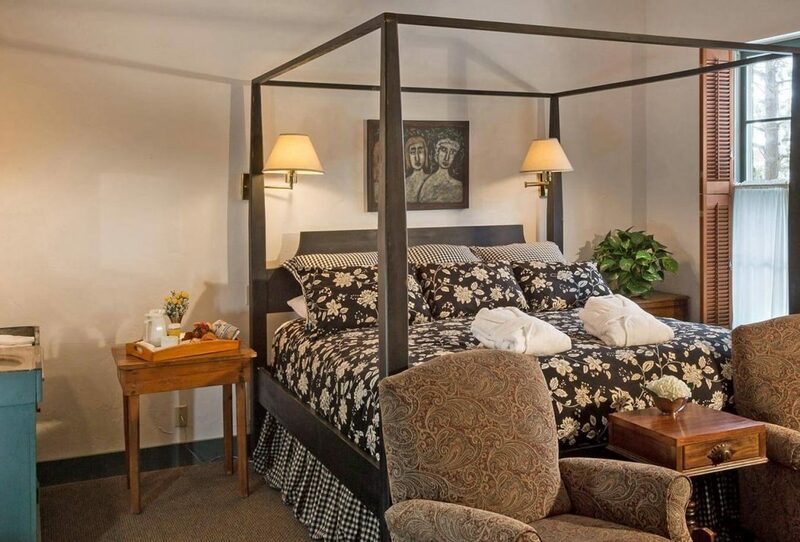 Majestic quilts hang as artwork from hand hewn structural beams, and lush greenery thrives from the skylights. 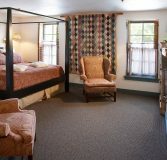 Entering this two level suite, you will find a pencil post king bed facing a fireplace with beamed mantel, as well as the bathroom/shower area. 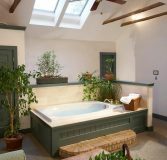 Climb the stairs to the second level and you will see the skylight that offers a view of the stars as you soak in the enormous Whirlpool bath, another fireplace, large living area, and wet bar with refrigerator and coffee maker.